Available Now! John Alan welcome to the rental market this newly decorated 3 Bedroom terrace house in convenient sought after location. John Alan are delighted to welcome to the rental market this unique three bedroom detached cottage style house situated in popular location close to transport links and amenities. This property has just been refurbished throughout and benefits from the following, 2 reception rooms, 3 good size bedrooms, White suite comprising panel bath and mixer taps/shower attachment, kitchen with some new freestanding appliances, new combination central heating system, Double glazing, Garden with storage shed, Off -street parking to front. Offered Unfurnished, available for viewings now. 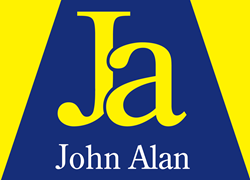 John Alan are delighted to act in the rental of this late 1990's built 3 bedroomed end of terraced house formerly built by Barratts and situated at the beginning of a very pleasant cul-de-sac minutes away from Lower Sydenham station and the Bell Green Retail Park including Sainsbury's. The property is offered unfurnished and has the added benefit of its own garage, en-suite shower to master bedroom and downstairs cloakroom. Internal viewing is recommended - keys held, available now. John Alan welcome to the rental market this lovely 3 bedroomed EOT house situated in a pleasant residential road backing on to playing fields. The property is also close to Bellingham BR station and other transport links. The kitchen is in the process of being refitted to a modern standard. Internal viewing recommended. Available mid February. No DSS. John Alan welcome to the rental market this larger than average 3 bedroom split level first and second floor newly refurbished flat with own entrance to the front, very close to Bellingham BR station, shops and bus routes, well presented throughout, large lounge, fully fitted kitchen, 3 double bedrooms, gas central heating, unfurnished, available now! No DSS. John Alan welcome to the rental market this 2 bedroom apartment which is offered to the market in good decorative order and is perfectly located within the heart of west Greenwich. Coltman House is located just off Welland Street and in turn is literally seconds from the Cutty Sark and River it also has direct views of the thames to the rear. Local shops and an excellent array of restaurants are also close by PLUS other amenities including mainline rail, DLR and the royal park with observatory. The property briefly comprises of a good sized living room and 2 bedrooms, modern fitted kitchen, 3 piece bathroom, laminate flooring throughout, offered furnished, available now! Sorry no DSS. John Alan welcome to the rental market this lovely two bedroom first floor conversion to let which has been finished to a modern standard throughout. Offering separate kitchen, modern bathroom, 2 good size bedrooms. Good transport links including Bellingham and Catford mainline Stations and most major bus routes. Other benefits are private entrance to flat, double glazed windows and a private well maintained rear garden, shops, supermarkets and green spaces are also in close proximity, offered furnished and available from 15th February 2019. No DSS. John Alan welcome to the rental market this spacious self contained 2 bedroom ground floor Maisonette in popular location, property comprises of 2 good size double bedrooms, own front door entrance, separate kitchen, large lounge with direct entry to own private garden, close to local transport links such as Bellingham and Catford BR stations, offered part unfurnished, available from mid November 2018. John Alan are delighted to offer to the market this newly refurbished two double bedroom ground floor maisonette in sought after location. The accommodation comprises of large lounge, new modern fitted gloss kitchen, two double bedrooms, new 3 piece bathroom. neutral décor and parquet flooring throughout. Mowbray Road is a quiet, leafy residential street within easy reach of Crystal Palace rail station and also the vibrant Crystal Palace "Triangle" offering a vast array of bars, shops and restaurants. lovely well presented flat sure to go quickly, Available now, Unfurnished. No DSS. John Alan are delighted to offer this purpose built 2 bedroomed ground floor maisonette situated in a convenient location handy for the mainline railway station at Lower Sydenham. Bell Green Retail Park incorporating a number of shops including Sainsbury's is nearby. Offered unfurnished. Off street parking for 2 cars. John Alan are delighted to welcome to the market this purpose built 2 bedroomed first floor maisonette situated in a convenient location close to mainline Lower Sydenham BR Stn and Sainbury's Savacentre , together with a retail park incorporating a number of shops. Available now for viewings. John Alan are delighted to offer this modern 2 bedroom terraced cottage to the rental market. This well-proportioned accommodation is situated within a quiet sought-after close, within a few minutes' walk of Westerham High Street. Property comprises of 2 Good Size bedrooms, modern Kitchen and bathroom, Double Glazing, Gas central heating a 30' garden to rear. Available now, Unfurnished. No DSS.